Scientists have discovered a four-foot-long, meat-eating dinosaur, with serrated teeth and long finger bones, that roamed the earth some 230 million years ago. The fossils are among the earliest dinosaur bones ever found, and the finding, which was published Thursday in the journal Science, has shaken up the creature’s family tree. Ricardo Martinez of the National University of San Juan in Argentina. Using bones from different dinosaurs, the paleontologists were able to piece together almost an entire skeleton and with it, more evidence of the beginnings of the dinosaur lineage. Scientists have identified the animal as a theropod, which means it may be a distant ancestor to both Tyrannosaurus Rex and modern birds. 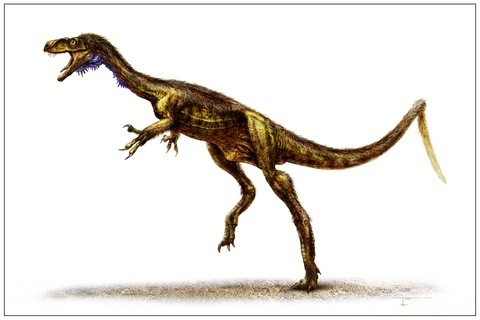 The discovery has also led to the reclassification of the dinosaur, Eoraptor, which was discovered in the early 1990s by the same team. Eoraptor was originally thought to be a theropod, but this study redefines it as sauropod, an herbivore. 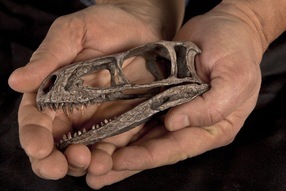 The finding may be controversial, Nesbitt, says, “because everyone has previously found Eoraptor to be a carnivorous dinosaur. It solves a couple questions, but creates a lot more to be answered.” But, he adds, the paper puts forward convincing evidence. “For me, the take home message is to realize that this is a good approximation of a primitive dinosaur,” Sereno says. “Great things come from small beginnings like this.